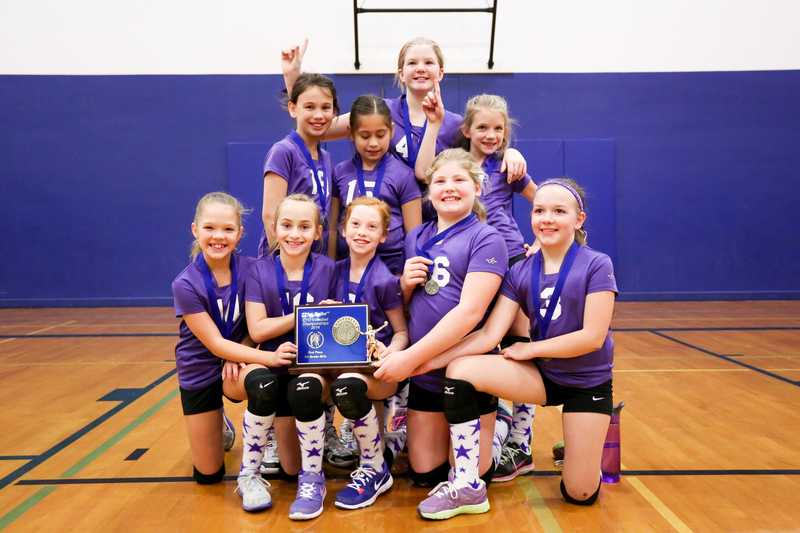 CYO 2014 THE SPIKE 4th Grade Girls – Does the Undefeated Team Win? The Fighting Dutch, a combination of one time fierce rivals St. Francis, Roy and Visitation, Verboort, won the third grade volleyball championship in 2013 and came back to play for the 2014 championship with a perfect record! Would they go on to clinch the Title as Fourth Graders? Yes!….sorry St. Joseph, Vancouver, well known as an all sport powerhouse from Vancouver, not this time though as the Fighting Dutch won a second championship. Congratulations to both teams for the great job you do in CYO sports! The Mighty FIGHTING DUTCH from West Washington County win the 4th Grade Girls CYO Spike Championship 2014!